The architect of Borussia Mönchengladbach’s renaissance as one of Germany’s powerhouses over the last few years, Max Eberl - sporting director at the Borussia Park - also has a reputation as a talent-spotter supreme. bundesliga.com sat down for a fascinating exclusive interview with Eberl, who discussed Reece Oxford’s future at the club, the state of play in the Bundesliga and Gladbach’s ambitions for the remainder of the campaign. bundesliga.com: Max Eberl, the Bundesliga’s high standard is shown almost every season in another young player coming through who has the attributes eventually to join one of the world’s biggest clubs. The question for you is: how do you seem to uncover a Granit Xhaka, a Thorgan Hazard or a Mickael Cuisance over and over again? 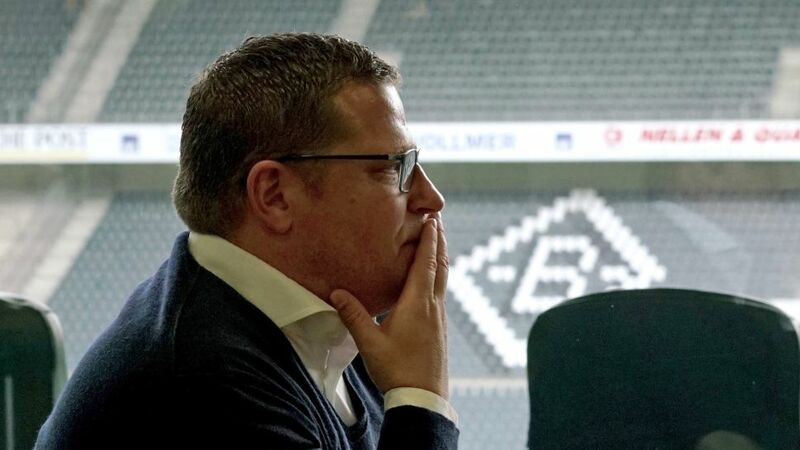 Max Eberl: We’ve developed an excellent scouting department over the last few years with Steffen Korell in charge. Our scouting network is geared towards bringing in young players with high potential for development. We even have one scout whose role is to check and verify all the information and facts provided by the other scouts. Watch: Gladbach came out 2-1 winners against Bayern Munich on Matchday 13! bundesliga.com: Another example of what we're talking about is Reece Oxford, who has rejoined Borussia after briefly returning to West Ham. What are your hopes for him? Eberl: It was very important for us that Reece could come back to Mönchengladbach. We’re particularly pleased that a player who didn’t play every game – in fact, he only played four – was still really keen to return. He saw what we had promised him in the summer was beginning to happen. bundesliga.com: Is there a chance of keeping him beyond this season? Eberl: Reece is very happy here and we’re very happy that he’s got another half-season with us. There is a third party, though, West Ham, who have a contract with Reece. Of course, we accept that. Hope springs eternal. bundesliga.com: Wanting to sign someone is one thing, but how do you actually convince a player to join Borussia? Eberl: Through our authenticity and what we’ve built and demonstrated in the last few years. When a young player comes, we can name 10 or perhaps even 15 players who have progressed incredibly at Borussia Mönchengladbach.